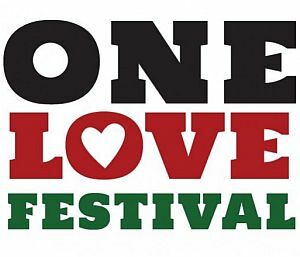 Reggae On The River 2016 celebrates 32 Years! – Back once again at the festival’s original venue- French’s Camp Humboldt County, CA. 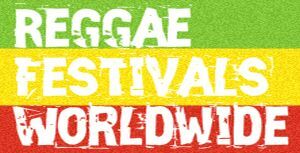 One of the longest running and best-loved reggae festivals in the world- the 2016 celebration is going to be off the hook. Line-up announcements will start in the early part of the year- but now is the time to buy your tickets and save a bunch of money. Tiered discounts will be available on all ticket types through January 11th, 2016. Tickets offer 3 and 4-day options (with camping)- or the new Ambassador Pass for the ultimate ROTR experience. Visit www.reggaeontheriver.com for ticket links and festival information – and start planning your Reggae On The River pilgrimage today. August 4-7, 2016 on the Eel River at French’s Camp. Camping and parking is on a first come, first served basis- with all vehicles charged a fee to park on site. The grounds have been expanded this year to allow for additional parking, camping, and RV options. Featuring an incredible line-up to showcase the best and brightest of today’s reggae and world music talent, the 32nd annual Reggae On The River will include Sizzla Kalonji & The Fire House Band, KRANIUM & Agent Sasco, Anthony B, Protoje & The Indiggnation Band, A Soul Syndicate Reunion featuring Mad Professor with Big Youth, Randy Valentine, Marty Dread & Earl Zero; Mbongwana Star, King Yellowman, Million Stylez, Fatoumata Diawara, Jesse Royal, Sister Carol, Ziggi Recado, Jah9 & The Dub Treatment, House Of Shem, Gappy Ranks, No Maddz, Democratoz, Keznamdi, Mr. Williamz, Locos Por Juana, New Kingston, Addis Pablo, Jah Sun, Lion D, DubTonic Kru, Newen Afrobeat, The I-Deals, Meleku, Bayonics, The Dubba Dubs, and 7th Generation Rise- with more TBA- including DJs, soundsystems, and guest artists, plus the acoustic sounds of Jamaica’s The Overtakers to nice things up in the campground!